Dominica's sporting community mourns the passing of the late Gifford Walsh, a once prominent sportsman, who died last week (19 th July 2014) in a traffic accident. Gifford belonged to a generation of young cricketers who were pushing their way to replace the old brigade of the likes of Irving Shillingford, Clem John, Augustus Gregoire, Cecil Larocque in the Seventies and early Eighties when young players like Lockhart Sebastien, Thomas Kentish, Leroy Jno. 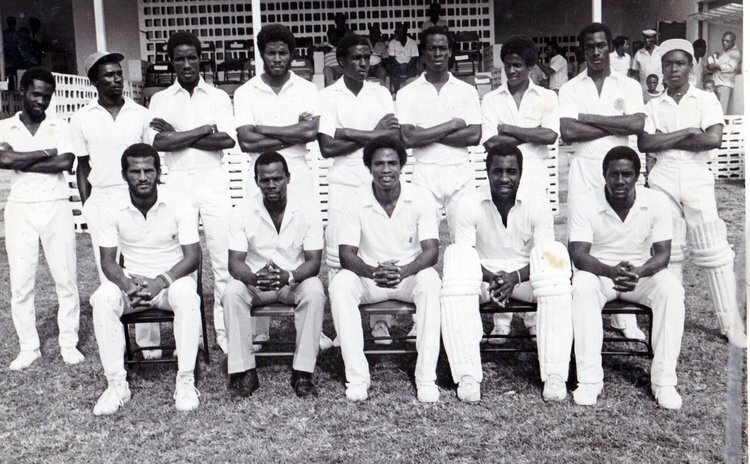 Lewis, Javan Etienne, Vernon Alleyne, Roy Marshall, Kent Williams, to name a few, were making their way into a formidable Dominica team. After the death of Augustus Gregoire, Gifford became Dominica's wicket-keeper for many years and was never challenged by anyone until he retired. His early sporting instincts were divided between cricket and football, both games in which he excelled. As a footballer he was of immense value to his club Heineken Saints. Off the field of play on his retirement he became a football referee and carried the whistle without fear or favour, thus gaining the respect of all players. In my farewell address as President of the Referee's Association in 1995, Walsh was named amongst the five top referees who served the association with loyalty and devotion to duty during the many years I served as president. The others were Chaucer Doctrove, Clayton Munro, Erickson Christopher and Magus Degallerie. It was then that I lamented the fact that when Dominica became a member of FIFA they were not eligible to be on the FIFA list due to age. "Death is but crossing the world, as friends do the seas: they live in one another still". My sincere condolences to his beloved wife, family and friends. May his soul rest in peace.